Knowledge is power, as Sir Francis Bacon once said; in the world of magic finance, that means knowledge is money. Obtaining better information than most of the market means that you can take advantage of price discrepancies between stores, and utilize that knowledge to your advantage when trading, buying, and selling cards. One source that provides great information is this very website, MTGPrice.com; whether it be giving you more accurate pricing information than other individual card store websites, or providing ProTrader Daily Market Updates which clue you in on which cards are spiking in price so you can buy in before everyone sells out. This week we’ll look at the importance of accurate pricing sources, and next week I’ll finish off this two-part series by discussing the ProTrader Daily Market Updates. One experience I personally had with highly variable pricing between a store’s website and the actual worth of a card was with the card Emrakul, the Aeons Torn foil. Multiple people have asked how much I valued mine while trading, and I had always replied $50, since I had looked up the price on Starcitygames.com (SCG), and that was the relative price guide we were using. However, about a month ago I looked up the price again and realized SCG had that price posted while they were out of stock on the item. Curious as to what price eBay was selling them for, I looked over there and was surprised to discover that the cheapest listing was priced at $75. This difference in price was especially astounding because eBay usually has much cheaper prices than SCG. What’s more, the price has risen even more since then. 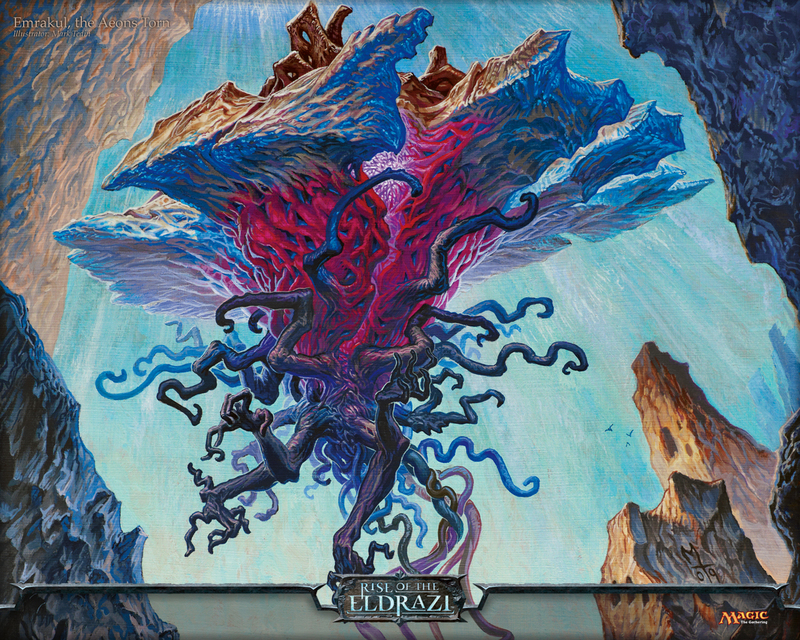 As of this writing (March 27th), virtually all the stores are sold out of the foil Emrakul, the Aeons Torn. Out of all the stores that MTGPrice.com provides pricing data for, the only places that have copies of that card in stock are TCGplayer and eBay. There are a mere three copies of a foil Emrakul, the Aeons Torn on TCGplayer ranging in price from $89-$100, and a lone, single copy on eBay priced at $90 (SCG is still out of stock, but has risen their price up to $60). Now, I feel very lucky that none of my trading partners took me up on my $50 offer for my card; I was using poor pricing info, which caused me to undervalue my card. The lesson here is to be wary of prices when a store is out of stock of an item. Many stores don’t update their prices when they don’t have any copies of that card to sell. Using the Fair Trade Price found on MTGprice avoids this problem, since they compile their price using many different stores and only use prices from stores that have the item in stock. Next week, I’ll conclude this two-part series, and discuss how ProTrader Daily Market Updates can let you know which cards are rising in price before all the stores adjust their prices accordingly.